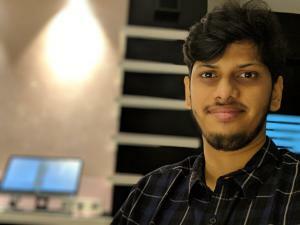 MUMBAI, MAHARASHTRA, INDIA, March 9, 2019 /EINPresswire.com/ -- Vikrant Tamhane, a Foodie, Entrepreneur and the founder of Brew My Idea, a digital marketing agency in Mumbai is all set to launch his own Digital Academy. According to Vikrant, the primary objective of starting the digital academy is to empower fresh graduates and aspiring professionals with the required skills and talent to manage and implement their digital marketing ideas in this challenging global economy. Vikrant Tamhane is a strong influencer on Instagram and a famous Instagram food blogger and goes by the handle @vikrant.tamhane3. Sharing his creative ideas and thoughts, Vikrant has managed to attract more than 18K followers in a short period. Vikrant firmly believes in the idea that “You are your brand” and the moment you start understanding that, it will mainly help you in creating strategies around it and will lead you miles ahead of your competitors. Brew my Idea is a Digital Marketing Agency in Mumbai, founded by Vikrant Tamhane that offers qualitative social media marketing, content writing SEO optimization and various other services to help small and medium companies to take their business to the next level. The company has a team of highly talented and skilled social media and digital marketing specialists with many years of experience in the industry. The programs to be offered in the academy are designed and conceptualized with the help of leading Internet market practitioners and digital evangelists. The program is said to be aimed at bringing together the latest and advanced digital marketing technologies of today and tomorrow. “It is an initiative to educate young professionals and aspiring students to learn and master the skills of how to be competitive in this growing internet economy. And the courses will combine both academic as well as practical learning to ensure the students develop concrete skills that will help them to cope up with the marketing environment of today. Vikrant further adds, “We are open to team up with other digital marketing agencies and companies to provide a top-notch digital marketing training2 program and to build the futuristic Digital marketeers of the country.” He also plans to expand the academy in all major cities across the country.